This guide walks you through connecting Kounta with Deputy. This integration currently supports timesheet and sales data sync. 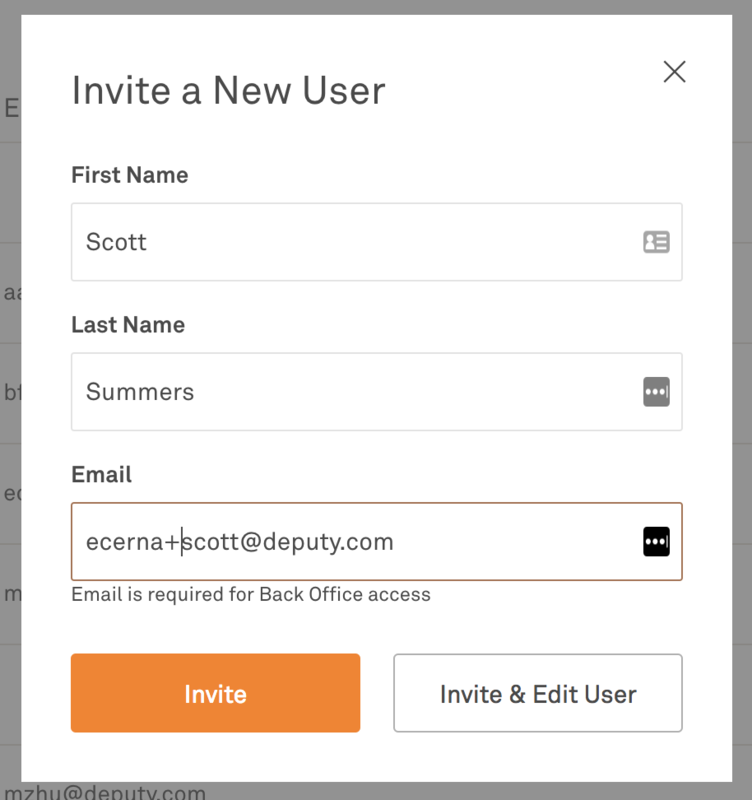 Connecting your Deputy account to Kounta will allow you to sync data across both platforms, creating an efficient workplace ecosystem. Ensure that you have a valid Kounta account. To create an account, visit https://www.kounta.com/ and click 'Sign Up'. You will need to go through a few steps to create your account, including the type of business and the number of registers you will set up. 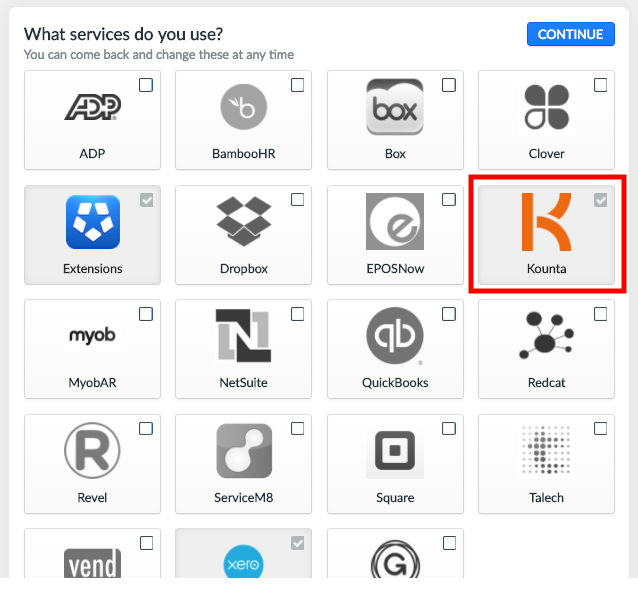 Now navigate to the Integrations tab and ensure that 'Kounta' is ticked. Click continue when this is done. A pop-up both will appear when you click this. Enter your Kounta login details to proceed. In this next section, ensure that the correct account is selected in the drop-down box, then click 'Grant Access' when you are finished. 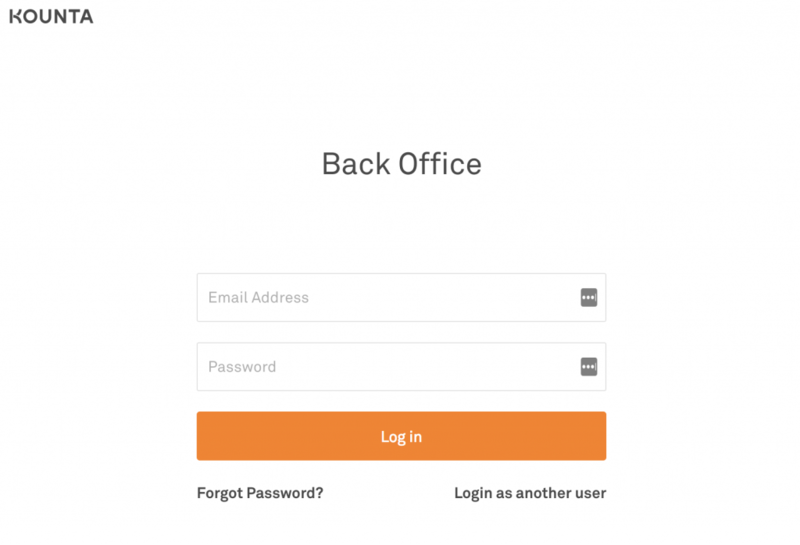 This will sync new employee data between your services. 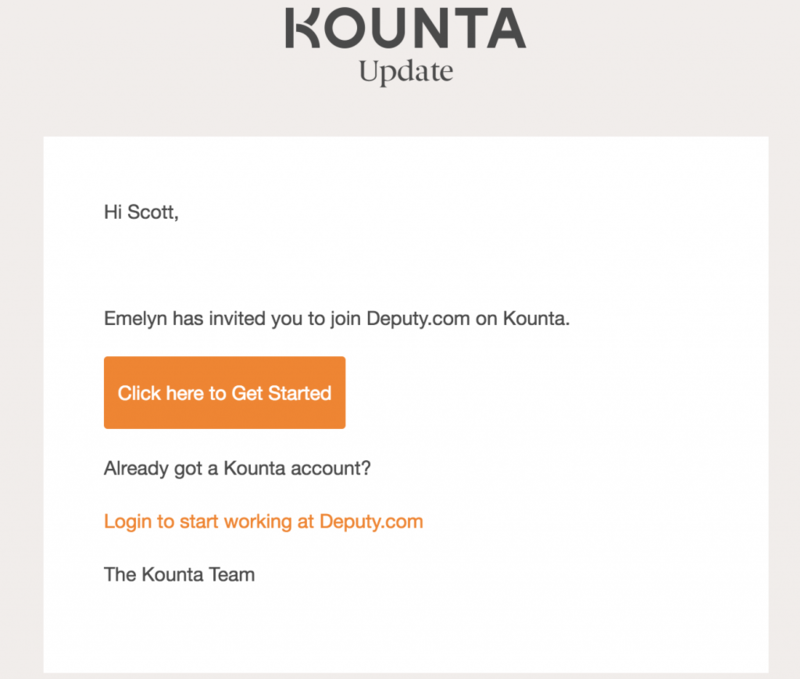 In this instance, when a new user is added to Kounta, it will sync and add the employee into Deputy. To do this, login to Kounta and click the 'People' tab. On this page, click the 'Invite a new user' button. A pop-up box will appear. Enter the new user's details here and click 'Invite User' when you are finished. On the next page, the new user will be asked to create a new account. 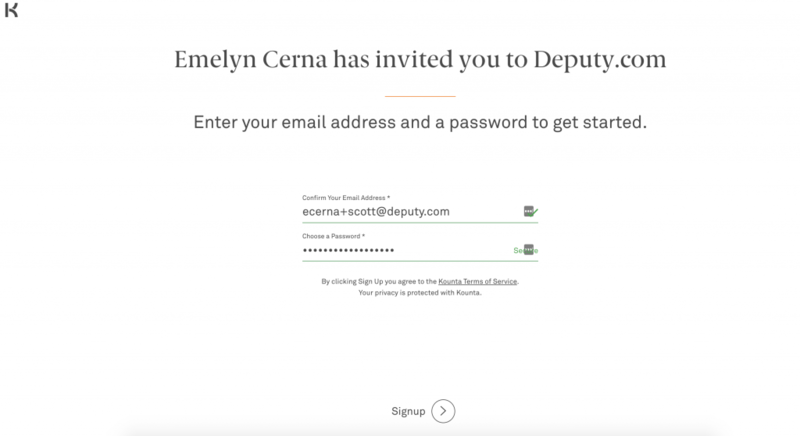 After they create their account, navigate back to the People page in Deputy. You will now see that the user added to Kounta will be included in your People list, and will have an invite to join Deputy. When a sale/order is entered into Kounta, this integration will feed this data into Deputy to populate the Stats graph. This will assist in effective scheduling in relation to employee cost vs sales. 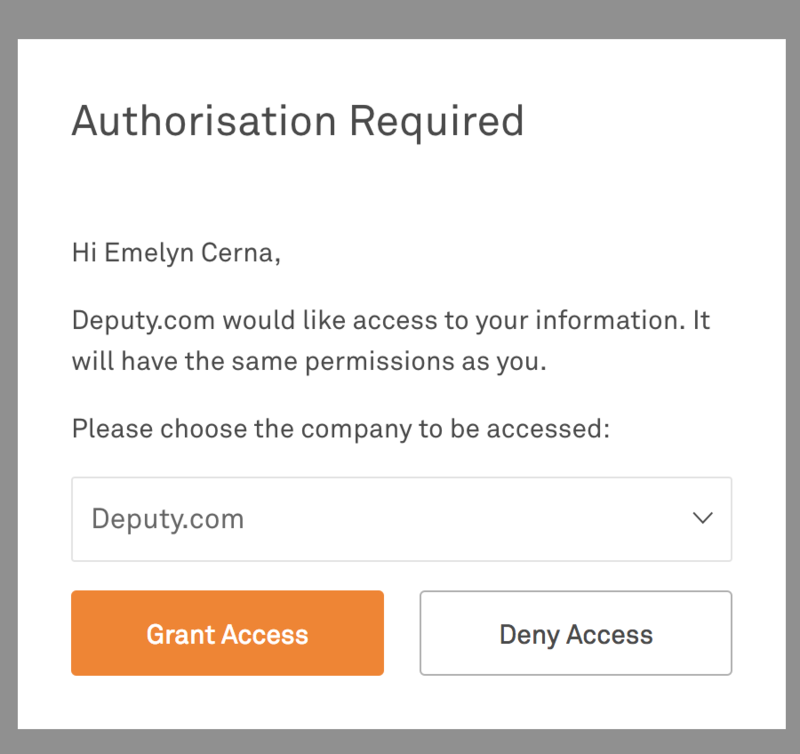 When a new timesheet is created within Kounta, the system will replicate this in Deputy, allowing you to approve and export timesheets with ease.